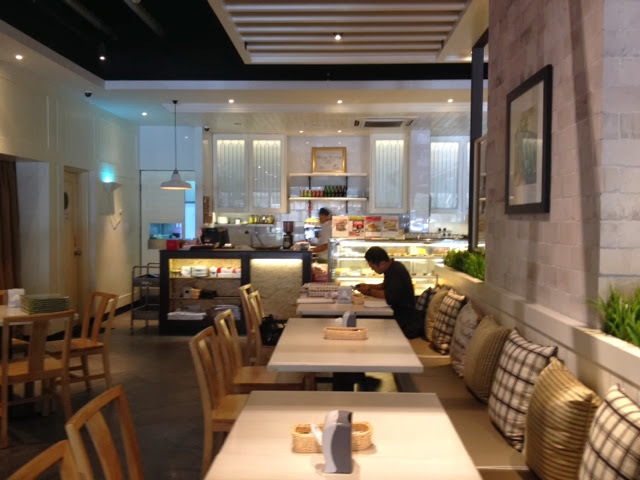 Expatriate in KL: Beyond Veggie by Secret Recipe: Worth The Visit! 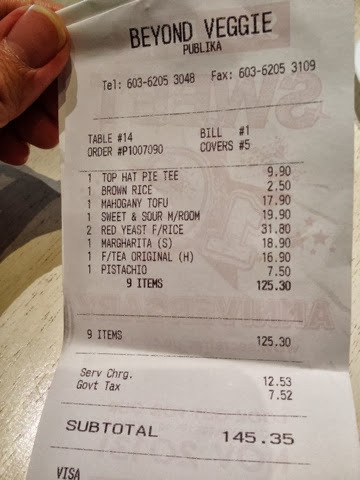 Beyond Veggie by Secret Recipe: Worth The Visit! When we first came to Malaysia, I visited Secret Recipe often. 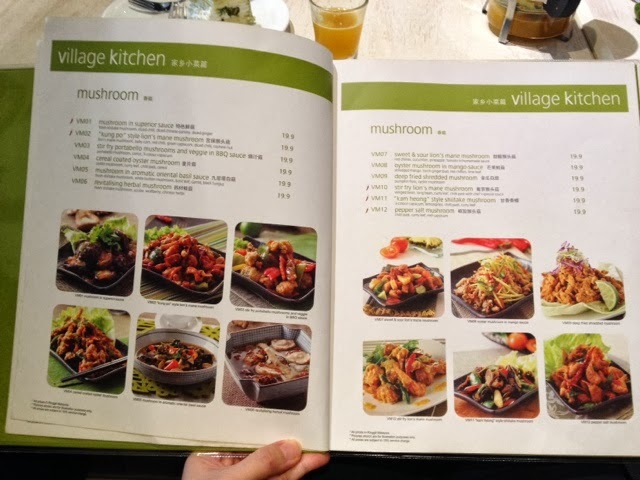 After a while, I found the quality so-so, or perhaps because I was more familiar with Malaysia and its food paradise I quickly forgot about it with the myriad of choices! Soon, years went by without one visit to Secret Recipe. It is simply... forgetful, in my opinion. However, all that has changed. My view of its latest restaurant creation called Beyond Veggie ... simply divine and worth visiting again and again. And I literally mean "again" because after our meal there last Sunday lunch, we went back again for Monday dinner. 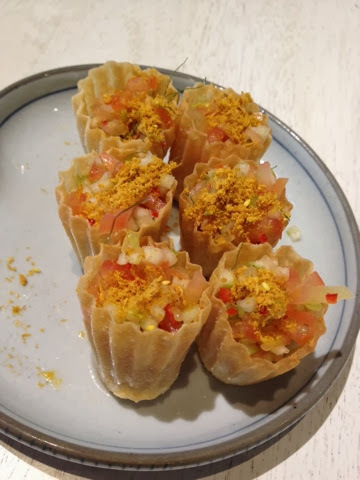 I know that vegetarian restaurants are not too many -- or at least I still need to discover them as I go on this vegetarian journey of mine. Meanwhile, I am sticking to a safe choice which is just around the neighborhood -- Publika to be exact. We drove by Beyond Veggie couple of times months ago, and I also saw their branch at Tropicana. That sparked my interest but it was not enough to make me go in yet. The mix of my turning vegetarian plus the good reviews that I have seen online -- has prompted me to go visit. Twice. Ambience -- as you can see below the place is well-lighted and very refreshing to the eyes. I like the interior design. 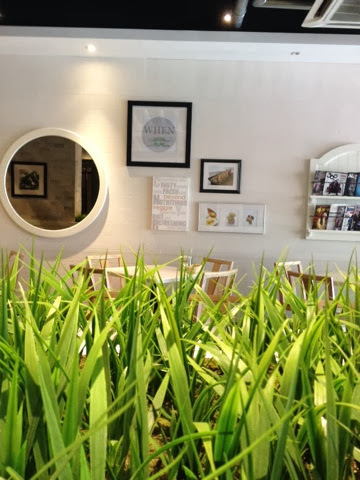 The fake grass gives a certain "eco-friendly" feeling as we enjoy vegetarian food... especially as one of the reasons why I turned vegetarian is due to trying to be more earth-friendly (and stopping animal cruelty). 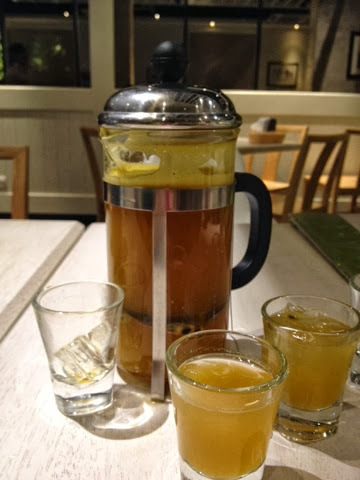 I thoroughly enjoyed the fruit tea -- which can be nicely shared by 3 people. They are generous with the cups and they also give ice if you request for some. That way you get some "Fruit Shots" while you have your meal. I tried both the Original flavor and the Passion Fruit. Highly recommended. This appetizer is okay. I wouldn't highly recommend... unless you are darn hungry and would like to eat some food quickly. It is okay in taste... nothing special. This is a winner! 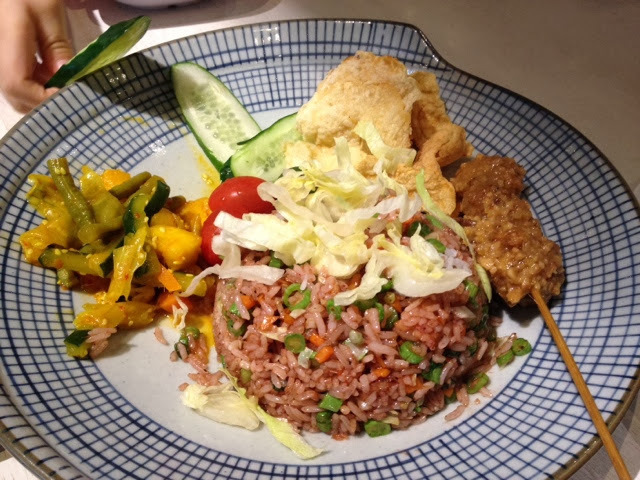 The red yeast fried rice that is served with some "satay stick" which is actually made of mushrooms -- oh so yummy! Definitely a must order when in Beyond Veggie. 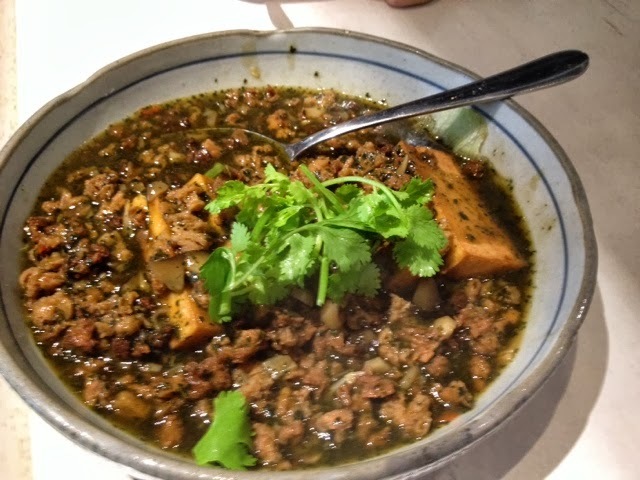 The next dish is a tofu dish with a different kind of sauce. Tasty and not bad. Will probably try this again next time. 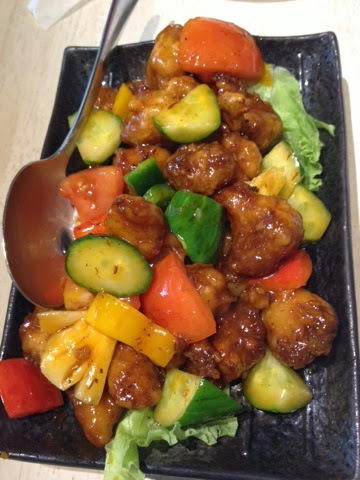 My super favorite -- the Sweet and Sour mushroom dish which has a texture like meat. 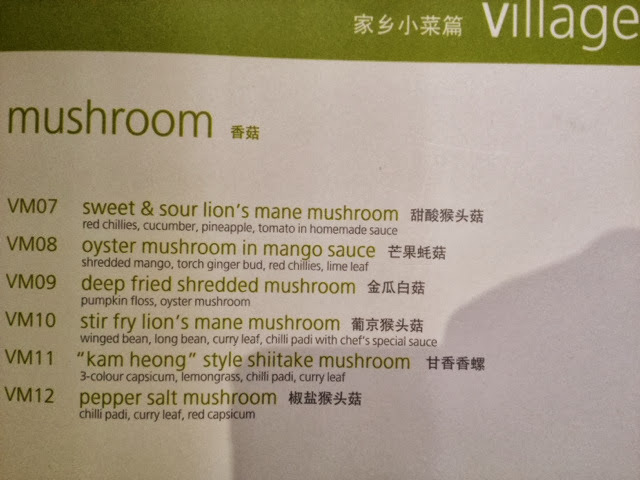 It is my first time to try this Lion's Mane Mushroom which I understand is hard to find / buy in Kuala Lumpur. Worth ordering again, and again... and again. We loved the Margherita Pizza. My daughter and my mom liked it... that is enough for me to garner plus points for this winning pizza. 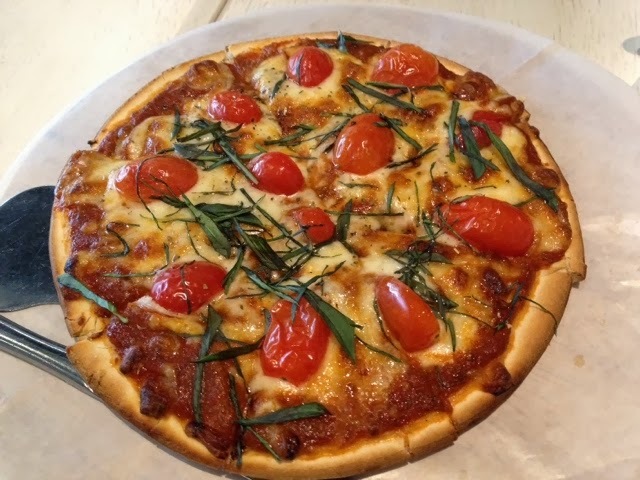 Pizza Margherita worth ordering! My daughter loved it! 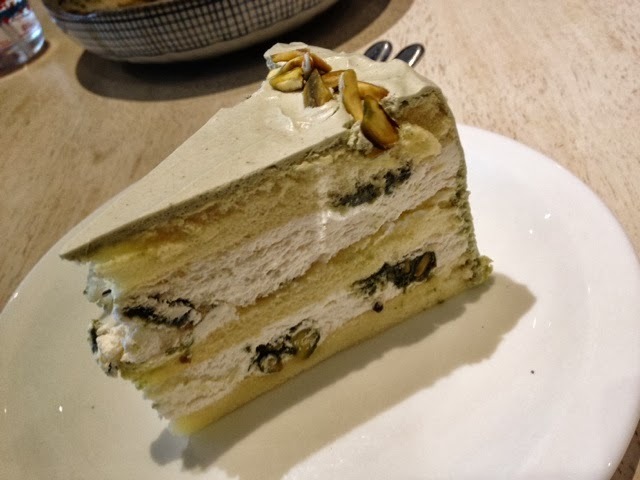 The Pistachio cake was okay -- nothing to shout about. About RM145 for 3 adults and 1 toddler. It was a great experience... to the point we went back for another meal the next day. Glad Secret Recipe launched a Veggie option!